Should You Believe That Travel Blog About India? If you can’t read the fine print it says “53% or children are sexually abused every year in India”. That statistic would shock even the coldest person. For every two kids you see in India, chances are one of them has been touched by someone this year. What appalled me was this “friend” made the comment “these things don’t just happen in India”. This remark was designed to deflect the issue away from India. I know because I’ve watched this person’s behaviour for a very long time. The person who wrote it is a very well known travel blogger who waxes lyrical about the beauty and wonder that is Mother India and rarely mentions anything about the harsh realities of the country. Where others have tried to point out social issues that exist in India, they have actively defended and deflected the issue, covering up like someone carefully hiding their tracks. I’ve followed their writings for several years now and have always found it beyond irritating, this post just pushed me over the edge. You see this writer has never actually lived in India, they come once every couple of years and then go back to the safety and comfort of their western life, and write romantic posts about what life is like in India. Worse still, they have called themselves an India Travel Expert and people believe them. I believe it is this that drives them to cling to a romantic ideal, after all the tourism boards won’t be covering their travel if they speak ill of the country. Don’t get me wrong, this isn’t a case of sour grapes. I have no desire to be known as an expert on travel in India, even though I am one by default. I’ve learned first hand how poorly paid and restrictive travel writing is as a profession to know that it’s not something I want to do full-time. Any travel blogger who tells you they are living the life they want on what they earn from their blogging activities is most likely leaving out some major facts. All those trips that they get sent on, usually come with a long list of restrictions and chores that must be completed in order to “earn” that free flight. Some beg airlines and hotels to cover them, and even have the audacity to get angry when they are refused or asked to work for their keep. I have no desire to be told how I should travel and what I should see by anyone, so I choose to not make a living from travel writing. I do still pitch and write for publications, but I’m selective about who I write for and what I write on. When I write about travel now, it’s almost entirely for pleasure and I am grateful for that. Anyway, I digress. So this “India Travel Expert” tried to tell me that a figure of child sexual abuse of 53% is common around the world, not just in India. I wasn’t talking about other countries in my post, I was talking about India so I don’t believe it’s relevant to mention other countries, but I’m sure there would be a national outcry if that was the official statistic in Australia. Seriously, can someone be so delusional and wedded to the idea of maintaining a facade about a country that they have to belittle such despicable acts? What angers me the most about this situation, is that people believe what this person writes about India. So when they talk about female travel in India, women listen. But I am certain that they aren’t telling the whole truth because I’ve read their posts and stories of being stared at, photographed incessantly, poverty and the abuse of the environment are missing, as they don’t fit in with the India they have created for their audience; the romantic place where peace, love and mung beans rule. I’ve read their travel tips, which are superficial and provide no real practical assistance to a first time traveller, because to state the truth would mean you’d have to admit to some of the challenges of travelling in India and perhaps the social problems as well. Now I can already hear the comments. I’ve been called an “India Hater” by some, while others have criticised me for writing too positively about India. I just say what I think. When it comes to India I have a love hate relationship. I’ve lived here for more than 3 years. I’ve been to about 98 cities and towns in this country and visited 18 States and Territories alone. I haven’t seen it all, but I’ve certainly seen more of the country than almost anyone I know. I love India for its beauty, colour and chaos. I hate it for its corruption, class system and poverty, but I still live here because this is exactly where I want to be right now. I get so much from living here, humility, challenge and personal reward to name a few. I’m grateful that I’ve been able to live here, but I won’t sugar coat India so that a western audience will think I’m an India Travel Expert because I’m reinforcing a romantic ideal. There are harsh realities in a country like India, in case you forgot, 53% or children are sexually abused every year, not to mention about 103,800,000 people lack safe drinking water; they can have a sip of water and die from it. 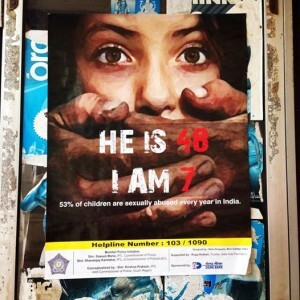 This is another appalling statistic and India has many more. But I don’t need to read statistics to know there are serious issues here that need to be addressed. I just walk outside my front door and watch toddlers defecating in public into the gutters, the cows on the street eating garbage that has been dumped in a children’s playground and the family that sleeps under a flimsy piece of plastic tied over the footpath in the middle of monsoon. I also see the temple across the street that is an artistic riot of colour, the whole neighbourhood dancing and singing as they carry their Ganpati to the ocean and the vegetable seller who smiles at me with what I want ready in hand before I’ve even reached his stall. This is India and I live in her, all of her. While there are good Indian travel blogs out there, ones that tell it how it is and don’t pander to the whims of marketing and PR professionals, I’ve taken a look at quite a few today and noticed that most gloss over some of the realities of the country or their life in one way or another. That may be their style of writing, but is it really doing a genuine traveller any good? I guess it is if the reader wants to escape reality, and for many who read stories of travel in search of escapism, then it’s perfect. For me, I read travel blogs usually when I’m trying to find out information about where to go or that will make my journey easier or more informed. So I want the truth, all of it in all its guts and glory. I am asked often by people to provide advice and guidance on travelling in India and offer it willingly. Most of the feedback I receive is about how useful and honest my advice was, and how it prepared them for India in a way no other guidebook or blog had. I take this as a compliment. So be wary when you read a travel blog about India. If it sounds like a place that is perfect, spiritual and too good to be true, it probably is. If it sounds real, inspiring and challenging all in the same breath, then that’s likely to be closer to the truth. If the writer has never written anything about the challenges of travelling around or getting something done, then I’m guessing there are omissions in their stories. I think I’ve avoided being a real “travel blogger”, I don’t usually write lists of what to do and what not to do, but I think now it might be time. It’s time because I want to help people who come to India to travel, to actually feel equipped to see everything this country has to offer. So I’m going to write a few posts about travelling around India (as a solo woman to boot) and what it’s really like, and what things might be useful to know as you do it. I’ll put these together over the next few weeks, including some handy tips and real experiences. If you have anything in particular about travel in India that you’d like me to write on, or tips of your own that you would like to add, please comment here and I’ll include them. What are my credentials you ask? I visited India 7 times for both work and pleasure, and then backpacked across the country solo for 10 months. I’ve lived in the country for over three years as a single woman and have supported myself without family money or an expat package. That’s it! Whether or not you want to believe what I have to say is up to you, after all I’m just another travel blogger! You’re not anti-Hindu or anti-India. The reality of India is the reality of India, good and bad. why is disagreement seen as criticism? Really good post! I’ll look forward to your coming posts! Rakhee, first, a tight hug to you. You have made a point. Very strongly. Similar thing happened on my personal FB page a few days back when I mentioned about bloggers trying to be in limelight & make it big by wrong means. Do you know why these people do that? Because they are in travel business, bringing tourists from their countries to India and that’s their way of earning money and living lavishly. How on earth can they write ill of India then? Their business will be doomed. Indian tourism boards will not entertain them. I’ve traveled with these people and to say, they are travelers would be an overstatement. They are luxury tourists who choose to be ostriches. Nothing more than that. To be an expert of any destination, one has to know & accept all the facts, not the ones which suit you. Oh we must meet to discuss it! I’ve worked with sexually abused girls/women both in India & abroad and I know how bad the situation is. I am one of those who show the ‘real’ reality of my country and quite often I am quoted as a traitor by my own country people. When I say female solo travelling in India is a challenge (compared to many other countries), I get confronted by self claimed solo travelers of India who haven’t traveled solo at all! They forget, I am not talking about taking only flights, staying in a five star hotels, roaming around in a chauffeur driven car to a safe touristy place. Thanks for this post. Can’t say for others, you’ll find me standing by the truth. I’d really appreciate any words of advice you may have for travellers to India to include the posts that I’ll be writing over the next few weeks, or if you’d like to do a guest post on it that would be even better. I never said luxury isn’t good. I too like it at times. 🙂 What I meant was if you always travel in luxury mode, you won’t be getting the true picture of a place. You need to get on the street & in local public transport! Yeah sure. Let me know. Anyway, I am busy for next 3-4 weeks. Nisha has raised some pertinent points, and I’m finally getting around to replying! It actually requires a lot of strength to be outspoken about the “reality” of India, and even more so as a foreigner. Having previously been quite outspoken on my personal blog, I know what kind of reaction it prompts and it’s even worse for a foreigner because the “racist” and “go back to your own county” retorts are so common. I’ve been called a racist because I said that Mumbai was dirty. Absurd! And, I got told that I should stop saying negative things about India and leave, by someone I considered to be a friend, because I complained on FB about noise pollution from the Ganesh festival in Mumbai. As a foreigner, despite living in India for nearly 9 years, it often feels like I don’t have the right to an opinion (unless it’s positive of course!). The way people react in itself is not enough to shut me up, but I say less now (like Nisha) because otherwise I develop a lot of negativity about people’s mentalities. I will never play down the problems in India though. India is also a country that takes quite a while to understand and make sense of. I don’t think anyone can really understand the realities of India without living here for an extended period of time (not just visiting). So, as well as wanting to please tourist boards, I think ignorance and rose coloured glasses may have a lot to do with the remark that Rakhee refers to in her blog post. Rakhee I think this is your best blog post. The writing is very strong, you can feel the passion! As you know I am a repeat visitor to India and often get asked why. Few people I meet seem to have romantic notions about India, and the ones I do are often young. I never sugar coat the realities. People who know me know I love the place but I never hesitate to point out it is a very confronting place to be. The story I tell to succinctly convey the realities of a visit to India is one of stepping over a newborn baby being laid on a saree, spread on a pavement by its mother as the pair claimed a space to sleep for the night. I was walking back to my hotel as she was laying out the cloth and as I went to step over it, she suddenly placed the baby onto it and I had to adjust my step. I found this provoked a very visceral response in me. I have seen many shocked faces when I’ve told this story. And it’s a story of homelessness, not of abuse. I think one can wilfully ignore many of the world’s horrors but it IS a WILFUL ignorance. I don’t know about anywhere else, but in Australia the shocking, tragic behaviours of India get a LOT of coverage. You can choose not to read/hear/see it on the news but it is that, a choice. To represent that choice as a reality as it seems your blogger has done, is foolish, misleading and potentially problematic and/or dangerous. Good on you for pointing this out. Kate, thanks for sharing your experiences. I agree, people can certainly choose wilful ignorance, I’m clearly not a fan of it. But yes, I have a real problem with people who represent something different for the sake of appearance or personal objectives. I must say even I felt something hearing your story about the mother and child, and it’s not something I haven’t seen before. Oh India! I don’t know what to say. I am an Indian, born and brought up here. I had to move out of the country two years back. Though, I ma not a traveler but been there for 25 years. I definitely can understand each and every point you made. When some friends of British origin ask me about how safe is to travel in India. I cannot lie to them and say go ahead and find peace. I know it is difficult, but definitely worth the experience. And again they cannot rely on the blogs giving lucrative info. Yes it’s sad but true. I strongly support and encourage people to travel around India, hell I did! But it’s important that people have good information available to them, not stuff that’s been fabricated to achieve a self-serving objective. Sorry, but what’s the point of this rant if you aren’t going to out this ‘travel expert’. Ambiguous finger-pointing does no one any good. Let people know exactly who the douche that made this argument is, that way you’re adding some constructive information to this experience? Also, be prepared for PLENTY more of this “not just in India…” defense. Barf. Dhillan, I don’t feel the need to name this person. They know exactly who they are, I’m more interested in providing people with constructive information which I will do over the coming weeks. Don’t worry, I’m prepared for plenty of deflection! I think it is best not to name them, because this view is VERY common among white, Western travelers to India, as well as the “it isn’t just India” derailing tactic too. Naming them will drive more sympathetic traffic to their site, which is likely to lead some people down the garden path if it willfully ignores realities in order to portray an Orientalist fantasy of India for ‘sanitized’ consumption or advertising revenue. Very eloquently put. I couldn’t agree more Andrea. That’s a really cheap thing to say about the poster, yes it does happen in other countries but 53% I don’t think so and it is a subject that shouldn’t be made to sound common, that person needs to check themselfs. I’m going to India next week with my 1 year old daughter and have been doing a lot of reading, the one thing I haven’t found much of is hotels, there’s plenty of them but I suspect some reviews are from owners or employees. Also safe shopping! And how to haggle, I must say that it’s one of the big reasons that I’m going to India…..I can’t wait wait to haggle! I’ve been reading your blog for awhile now and always loved that I was reading something from an Aussie woman in India. Thanks for your kind words and the suggestions of what you want to know Casey. I’ll do my best to help with that, although I’m not sure I’ll manage to post it before you leave. I hope you have a great holiday, it’s an incredible place to travel.